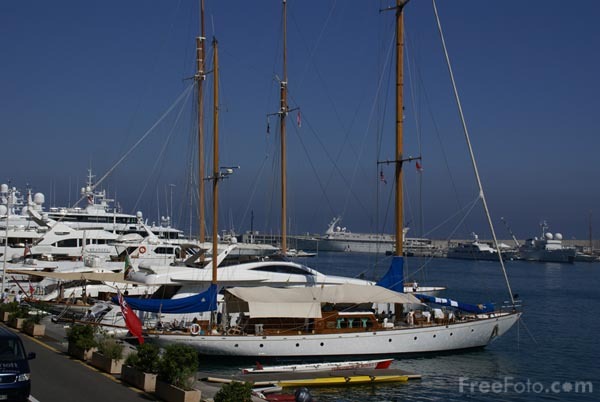 Picture of Monaco Harbour in The Principality of Monaco / Pont de Monaco Principauté de Monaco. Monaco is the world's most densely populated country and second-smallest independent nation. Monaco is surrounded on three sides by France and occupies just under two square kilometres of the Cote d'Azur.